I love smart quotes in macOS, but for those few times where I really need a straight quote (when manually typing links, for example), I can’t find a quick keyboard shortcut to insist on the straight ones. Is this possible with a simple keyboard shortcut? 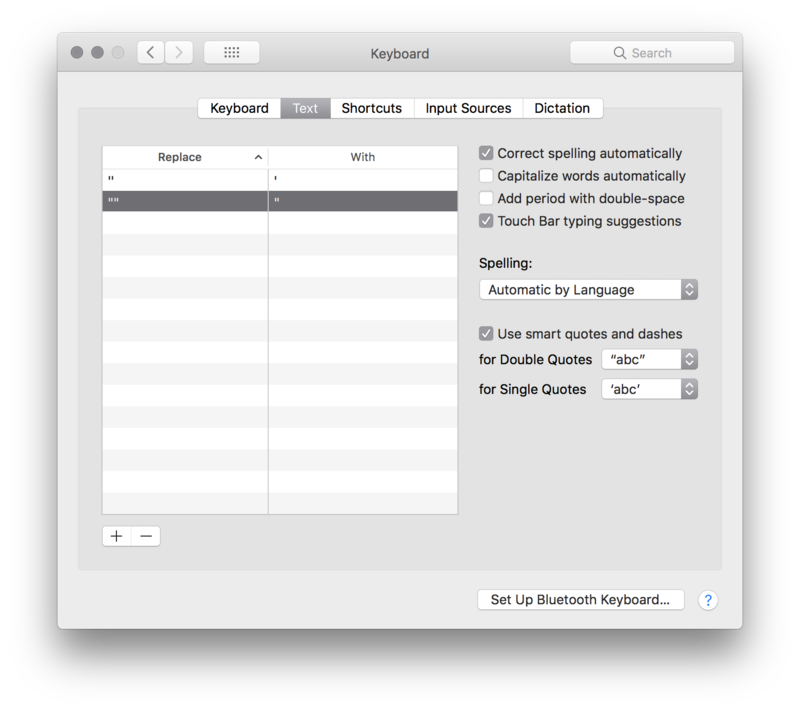 Update: The most effective way seems to be creating a custom keyboard shortcut for turning off/on Smart Quotes in individual applications (Edit > Substitutions in supported applications) for those few times I do need a straight quote. Typing ""foo"" ''bar'' resulted in "foo" 'bar' with normal quotes. As shortcuts go, just double tapping the button instead of single tapping makes for a convenient shortcut. Not the answer you're looking for? Browse other questions tagged text input-source text-input . How can I type Chinese on MacBook Pro? How can I dynamically choose smart or non-smart quotes? How to type a normal quotation mark without auto-substitution? How to have arrows for moving the cursor right and left when writing text on iPad? How to automatically switch to English when I switch to particular application?